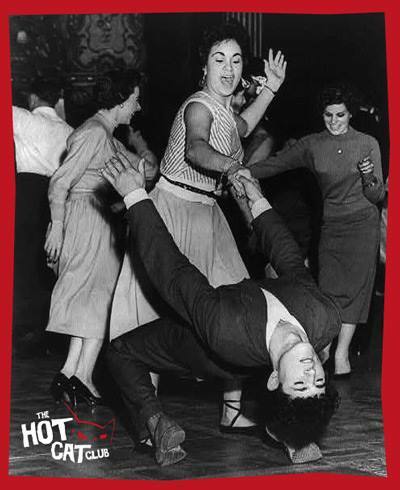 Gin Fizz, the company who reignited Milton Keynes’ love of rock ‘n’ roll , jumpin’ jive, swing and a whole lot of vintage style are opening THE HOT CAT CLUB this Friday! 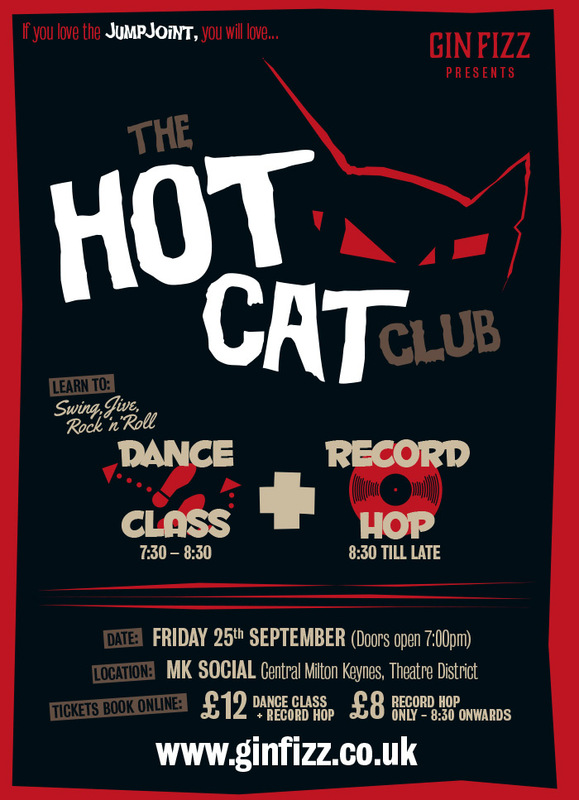 By popular demand, the creators of ‘The Jump Joint’ are bringing ‘The Hot Cat Club’ to MK Social in the Theatre District on the last Friday of each month. The night starts with an exciting ‘When Rock ‘n’ Roll Met Swing Jumpin’ Jive’ dance class to show you exactly how to strut and bop with the best of them. After the class is finished, things are just getting warmed up. A record hop (their fancy word for informal dance) will keep you on your toes, whilst they spin Swing, Jive and Rock ‘n’ Roll classics until late. Are you already a dab hand at dancing? You can opt for tickets with or without the dance class. Just check the Gin Fizz website for details. Being held at MK Social, one of Milton Keynes’ newest and most exciting night spots means not only a fantastic ambience but a full bar service is available including a huge array of cocktails. THE HOT CAT CLUB opening night is on Friday 25th September. Dance class starts at 7:30pm and the record hop will kick off from 8:30pm. Tickets including the dance class are £12 each. Entry without the dance class are only £8. To secure your place you can purchase tickets on their website http://www.ginfizz.co.uk/.